Outer ring with single split in axial direction. Inner ring with cylindrical extension at either side. Two seals at outer ring. Lubrication grooves and holes in the outer and inner rings, both outer and inner rings are properly phosphorlylate-treated. Sliding surfaces: steelsteel Type: Radial Spherical Plain Bearings GE60HO-2RS Lubrication: Oil or Grease Dimensions: 60mm x 90mm x54mm ID (inner diameter)Bore: 60mm OD (outer diameter):90mm WidthHeightthickness:54mm Weight:1.15kg Sample:Available Material: Bearing Steel Small Order:Available OEM Services:Available Supply ability:50000 pieces Package Details :standard export packing Or packed as customer\'s request. 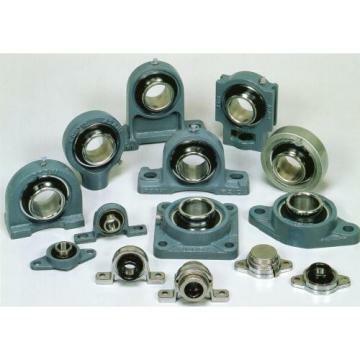 Payment term:TT Joint bearings GE60HO-2RS also called spherical plain bearings The following models are availables: Radial spherical plain bearings GE60HO-2RS GE-E series GE-ES series GE-ES 2RS series GEG-E series GEG-ES series GEG-ES 2RS series GEEW-ES series GEEM-ES 2RS series GEF-ES series GE-XSK series GEZ-ES series GEZ-ES 2RS series GEW-ES series GEWZ-ES 2RS series GEGZ-ES series GEGZ-ES 2RS series GEC-XS series GEBK-S series GEFZ-S series GE-C series GEG-C series GEFZ-C series GE-ET 2RS series GE-XT 2RS series GEG-ET 2RS series GEG-XT 2RS series GEZ-ET 2RS series GEH-XT series GEH-XT 2RS series GEC-XT series GEH-HC series GEH-HT series Angular contact spherical plain bearings GAC-S series GAC-T series GACZ-S series Spherical plain thrust bearings GX-S series GX-T series Joint bearing is widely used in engineering hydraulic cylinder, forming machine tools, engineering machinery, automation equipment, automobile shock absorber, water conservancy machinery industry. The joint bearing is spherical plain bearing, the basic type is composed of a spherical sliding spherical contact surface, within the outer ring. Our Superiority as A Bearing Factory: supply GE60HO-2RS 1.As a direct manufacturer and also a trading company, we are able to have the best resources integrated in and offer our clients qualified parts at the most competitive price. 2.Quality Assurance:100% QC inspection before delivery. 3.Excellent customer service: responded within 24 hours. 4.Fast delivery: we have large amount of stock ready to ship the next day after order, and for bulk production, we can work on urgent order and deliver in time. 5.We provide OEM service and can make custom parts according to clients'drawing or sample pieces. 6.We have a perfect R&D system and capability, and always developing new products to meet market demand. 7.Monthly production capacity over 200,00pcs. 8.One Stop Service:We can take care of everything from production, shipping, import clearance, door delivery until your order is right there in your hands. In the steel industry, GE60HO-2RS Bearing Spherical 60*90*54mm can be found in a vast range of plant and equipment that is used in both upstream and downstream processes: from the storage yard for raw materials to the steelmaking, rolling and refining processes. All kinds of bearings are used in this plant and equipment. The operational environment for these bearings is unique to steelmaking, comprising steel dust, water and heat. In addition, the GE60HO-2RS Bearing Spherical 60*90*54mm may have to cope with heavy loads and vibration shock, operational speeds ranging from extremely slow through to high, coupled with rapid acceleration and deceleration. This makes for a demanding operational environment that is not found in other applications. The quality requirements of the GE60HO-2RS Bearing Spherical 60*90*54mm to suppliers have been aggregated hereinafter on the basis of international quality standards. As a company adhering to the industry’s best practices, we know and understand GE60HO-2RS Bearing Spherical 60*90*54mm , the competitive and driving forces of the industry and the need for enduring and changing distribution values. There is one truth applicable for all industries and applications: the growing need to produce products faster, more reliably and of high quality. This puts Iron and steel industry bearings in the spotlight. For processes to be at their most productive, the control of speed and torque in relation to the process is essential. Iron and steel industry bearings determines the efficiency of your manufacturing and can help save your business undue costs in terms of energy usage and product lifecycle. Industrial Bearings Inc offers machines and systems of GE60HO-2RS Bearing Spherical 60*90*54mm any size that are economical, precise, safe, and energy efficient. Industrial Bearings Inc experts can complement or even replace costly and time-consuming physical testing by using proprietary software to analyze new machinery, including bearings Iron and steel industry bearings and all other machine components GE60HO-2RS Bearing Spherical 60*90*54mm, while still in the design stage. The resulting analysis about GE60HO-2RS Bearing Spherical 60*90*54mm can then be used to identify areas for performance and reliability optimization. “Design for Six Sigma” tools let us help you with concept selection and evaluation together with risk assessment techniques. Industrial Bearings Inc has a unique understanding of rotating equipment and how machine components and industrial processes are interrelated. We provide a wide range of products include Iron and steel industry bearings and related technologies to OEM and aftermarket customers of GE60HO-2RS Bearing Spherical 60*90*54mm around the world, in every major industry, at each phase of the asset lifecycle.